whose churches are being targeted. 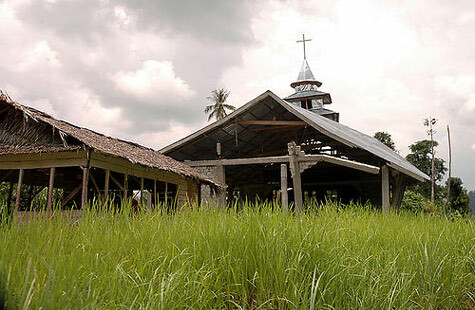 A total of four churches on the Indonesian island of Sulawesi were attacked recently by arsonists using homemade bombs. While no one was injured, the attacks resulted in property damage to the church buildings, as well as increased anxiety among the local communities. According to police, it appears the assailants intended to stir up religious tensions between Christian and Islamic groups on the island. More than a decade ago, an anti-Christian campaign by extremists had destroyed hundreds of churches and thousands of homes. Reports indicate that thousands of Christians from both the Sulawesi and Moluccas islands were killed in the conflict and approximately half a million others were driven out in what has been described as an ethnic cleansing effort. As recently stated by Human Rights Watch, religious intolerance is growing noticeably worse in Indonesia, the world's largest Muslim-majority country. The latest report, which compiled information on 264 incidents of religious intolerance, revealed that these statistics are almost double those of 2007. To learn more about the situation in Indonesia, go to the Indonesia Country Report. Our Heavenly Father, whose eyes "run to and fro throughout the whole earth," is fully aware of the many violent acts that have occurred against His Church in Indonesia and around the world. Let's pray in agreement with His powerful Word, and through the precious blood of The Lamb, that He will indeed "show Himself strong on behalf of those whose heart is loyal to Him" (2 Chronicles 16:9). Join us this March to hear reports about the persecuted Church, learn how you can stand with those suffering, and fellowship with other believers in Canada. Sunday, March 17, 2013 1 p.m. 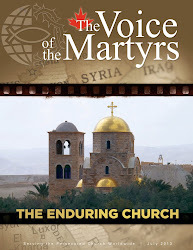 The following has been excerpted from Closer to the Fire: Lessons from the Persecuted Church by VOM-Canada’s Greg Musselman. In Canada, you can order a copy of this book from our online catalogue. You can also purchase this book through Amazon. Before going into ministry I worked as a sports reporter, and I often interviewed players from both the winning and losing teams after a game and got their perspective on what happened. The answers were very predictable: if they won, credit was given to their teammates; and if they lost, the players would try to explain what they did not do right in the game. It was almost like they had a manual on how to answer the questions in a proper way. Likewise, in my years of interviewing persecuted Christians, I have discovered that many of them give similar answers to my questions. They, too, have a Manuel on how to respond in a proper way. However, unlike the athletes, Christians like Manini, Bukar, Mohammed and Christine gave their heartfelt answers based on what they learned from God’s Word. What the Bible tells us is the right perspective is what they truly believe. I have observed that those who are passionate in their relationship with Jesus Christ, regardless of where they live in the world, say the same things because they are reading and mediating on the same Book. They can genuinely respond with forgiveness because that is what their Manual says they must do. This side of heaven, we all will have countless choices to forgive or to grow bitter. For some of us, it’s the little things that we do not consider significant enough to “forgive” can add up, gradually hardening our heart so that we have difficulty forgiving. Many others have experienced a traumatic event or personal tragedy that makes unforgiveness seem a natural choice. We all have excuses not to forgive. They aren’t going to pay if I forgive. But how does your refusal to forgive them make them pay? Turn them over to God; He’s the one who will avenge (Romans 12:19). I can’t trust them, so I can’t forgive them. Trust and forgiveness are two separate issues. Forgiveness has to do with our relationship with God. If we do not forgive others, God will not forgive us (Matthew 6:15). We all need to be forgiven. Trust, on the other hand, needs to be earned. You can forgive someone and not put yourself in a position to be hurt or victimized again. They need to ask for forgiveness before I can forgive them. Read Jesus’ parable of the unmerciful servant in Matthew 18:21–35 to see why waiting for a person to ask for forgiveness is a bad idea. Like Manini, Bukar, Mohammed and Christiana, we need to forgive. Christ’s example on the cross is the last word for His followers. We cannot choose the path of bitterness. Too much is at stake! Have you had to forgive someone of a significant offence? To forgive does not mean to forget, nor does it condone the offence. When you remember the offence, remember you have forgiven. Can you talk about your experience without speaking badly of the person who offended you? Can you do as Jesus said to do in Matthew 5:44, and pray for that person? By faith, do this today, because others will learn from your example. "We aren't delinquents; we're people who love God and respect society," said the leader of a Christian group in Altamirano, Chiapas, Mexico. The leader and a group of 27 families were expelled from their community "just for being evangelicals," according to a recent report in a Chiapas newspaper. And now the families, which include about 40 children, are living in a cattle barn because they have nowhere else to go. 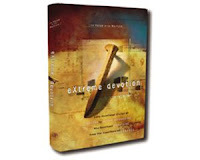 For more videos on the persecuted Church, please visit our multimedia site at www.persecution.tv. Though Timothy was young, Paul encouraged him to be an example to all. Timothy proved he could live up to these instructions. Timothy was from Lystra, one of the cities Paul had visited on his first missionary journey. Timothy’s father was Greek, and his mother and grandmother were Jewish Christians who greatly influenced young Timothy. In fact, the Bible points out they were Timothy’s examples in the faith. Paul must have noticed Timothy’s potential to become a strong believer himself. When Paul came through on his second journey with Silas and Luke, Timothy joined them and journeyed into Macedonia. Paul considered Timothy his son in the faith. When the church in Ephesus needed a pastor, Paul left Timothy there to teach and encourage the believers in that city. Timothy shared Paul’s life and ministry. He may have even been with Paul the day he was beheaded in Rome, as Paul had asked for him to come for a final visit. After Paul’s death, Timothy returned to Ephesus to lead the church there. He continued to condemn the worship of idols that made many in the city of Ephesus rich. When Domitian ratified the second great Roman persecution of Christians, the idolaters became emboldened. Timothy was stoned to death around A.D. 98 – faithful until the end, as Paul had taught him to be. No one is expected nor encouraged to live the Christian life alone. In fact, it is impossible to do so. In the same way that Paul mentored Timothy, we need someone to show us the way and believe in our potential to make a difference for Christ. We grow by watching others who lead by example in our church, our community, our families, and our schools. As we begin to assume our own roles of influence, we need fans on the sidelines, cheering us on toward greater commitment. Who is your example in the faith? Who is responsible for teaching you how to live for Christ? It may be a close family member, friend, or pastor. Thank God for their influence in your life. While radical Russian Muslims are fighting to take over Dagestan for Islam there are secret Christians engaging in a different type of war, a spiritual one. They are risking their own lives to capture Muslim souls one at a time. In southern Russia, on the Eastern shore of the Caspian sea, sits Dagestan, the most dangerous province in the country. Muslims fight Russian forces almost daily to take over the province for Islam. Pray for the safety of women being harassed for their faith in India. On January 14th, three Christian women were attacked by Hindu extremists in Tamsai village (located near Navi, Mumbai). The incident took place while they were washing clothes at a public well. It all began because the 12-year-old daughter of one of the Christian women listened to Gospel songs on a mobile phone, causing the other villagers nearby to become irritated. These angry people protested that Christian music should not be played within their hearing range. Eventually, the number of enraged villagers increased, developing into a mob of about 50 people. After gathering near the houses of the Christian women, those in the mob physically assaulted them. Apparently, the Hindu extremists of Tamsai are strongly opposed to the use of Christian worship during healing services. Yet despite their anti-Christian actions, and the resulting violence against believers, it has been reported that many Hindus in the vicinity are coming to Christ. 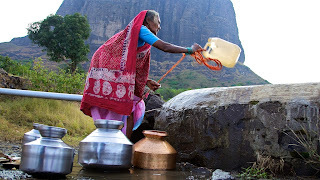 For more about the situation in India, please go to the India Country Report. Pray that God will protect and bless the Christians of Tamsai village, and that His divine healing touch would minister powerfully to the women who were injured in the attack. May these believers have the assurance that God is their refuge and strength, an ever present help in trouble. Let's also remember to pray for the salvation and spiritual deliverance of the Hindu extremists...that they, too, would experience a radical change of heart through the power of Christ's unfailing love. A few days later Sabina became very sick. While lying near death in the prison hospital, the prison director came. He said, “We Communists have medicine and hospitals, and we are stronger than your God. In this hospital you are not to mention the name of God.” Only Sabina dared to speak about the existence of God. The other women were ecstatic that someone had actually defied the director. The following day, they forced Sabina to go back to work. God miraculously touched her body, and she was completely healed. The news spread through the prison and did not escape the ears of the sad young doctor. She approached Sabina late that evening and said, “If your God can restore your body and give you such peace in this pit of hell, then I have to believe He is real. No other power could accomplish this. How must I be saved? Whenever we feel like our lives are in a pit, we can be sure that people are watching to see how we’ll get out of it. Christianity seems to attract interested spectators- especially when we are struggling. People observe our faith at arm’s length to determine what God is all about. They watch with keen interest when we experience a crisis. If we live by faith during times of trial, however, people cannot refute the evidence they see in our lives. What do people see in how you live? What does your reaction to life’s circumstances tell others about God? If you feel like your life is in a pit, remember people are watching to see how you will handle it. Where does a Christian fit in a nation which makes itself god? 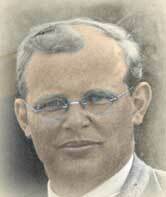 The Lutheran theologian Deitrich Bonhoeffer answered that the Christian's duty is to resist such a regime. This landed him in a concentration camp and cost him his life. Safe in exile in America, he abruptly returned to Germany. "I have come to the conclusion that I have made a mistake in coming to America. I shall have no right to participate in the reconstruction of the Christian life in Germany after the war if I did not share in the trials of this time with my people. Christians in Germany face the terrible alternative of willing the defeat of their nation in order that civilization may survive, or willing the victory of their nation and thereby destroying civilization. I know which of these alternatives I must choose. But I cannot make that choice in security." In Germany Bonhoeffer worked with the underground resistance. He helped guide Jews to safety. Believing that Hitler was like a madman "driving a car into a group of innocent bystanders," he joined a plot to kill the Führer. After he was arrested for his aid to the Jews, his role in the plot was discovered. There was little hope he would survive Nazi wrath. Nonetheless Bonhoeffer was personally at peace. Suffering, he said, had become a better key for understanding the world than happiness had ever been. On this day February 7, 1945, he was transferred to the terrible Buchenwald Concentration Camp where many thousands of prisoners died, some under cruel medical experiments. Three months later Bonhoeffer corpse was added to the list of dead. He was hanged days before the allies freed the camp. He had fulfilled his own theology, aptly expressed in his book The Cost of Discipleship: "The one thing that matters is practical obedience. That will resolve [man's] difficulties and make him free to become the child of God." "Every day in that prison is a death sentence," his wife Naghmeh Abedini said. "It's a horrific prison and anything can happen." Let us continue to pray for Saeed’s protection. May the Lord grant him supernatural strength, wisdom and favour so powerful ministry can take place in and through his life. For more videos like this, visit our multimedia site. Peter felt it was worth the risk. He loved travelling with his Uncle Michael, an evangelist in the Philippines, to the remote villages where people were so hungry to hear about Christ. The trips to villages were adventurous and sometimes dangerous, travelling through the thick forests for hours on end. People in the Philippines had been terrorized for many years by the New People’s Army, the arm of the communist party. Peter and his uncle often had to hide to keep away from danger. Peter loved the children and enjoyed seeing their eyes light up when they finally understood how much God loved them. Finally, with his hands tied behind his back, Peter heard his parents tell the soldiers, “To live is Christ and to die is gain.” And with those words, Peter went home to meet his Saviour that somber Good Friday. His Uncle Michael still tells the mountain villages about the power of Christ’s love and about his young, faithful nephew named Peter. Risks are all about choice. Some people choose to risk their fortunes, betting on the most mundane activities. The outcome of a football game. The winner in a lap round the racetrack. The number of baskets a certain player makes in a night. Others risk their very lives by choosing self-serving activities with no eternal significance like drugs and alcohol. Jesus calls people to another choice altogether. He says we must choose to risk our earthly security in order to gain a heavenly reward for doing his will. Doing his will brings a greater reward than a cash payout at the racetrack or an artificial high from the latest drug. Have you experienced Jesus’ reward for risking your faith? Why or why not? Tunisia gained independence from France in 1956 under the leadership of Habib Bourguiba, who introduced freedoms found nowhere else in the Arab world. In 1987, Zine el Abidine Ben Ali took control through a coup. He is currently serving his fifth consecutive five-year term, despite allegations of manipulation and boycotts that have accompanied his re-elections. Under Ali, the political system became increasingly autocratic and repressive. While there is a pretext of political freedom, there is no real political opposition and hundreds of dissidents have been arrested. In earlier centuries, the Christian Church was widespread, producing such leaders as Tertullian and Cyprian. Schism, heresy, failures to put roots deep into the local culture and to translate the Bible into local languages, foreign invasions and finally Islam greatly reduced numbers in the church. 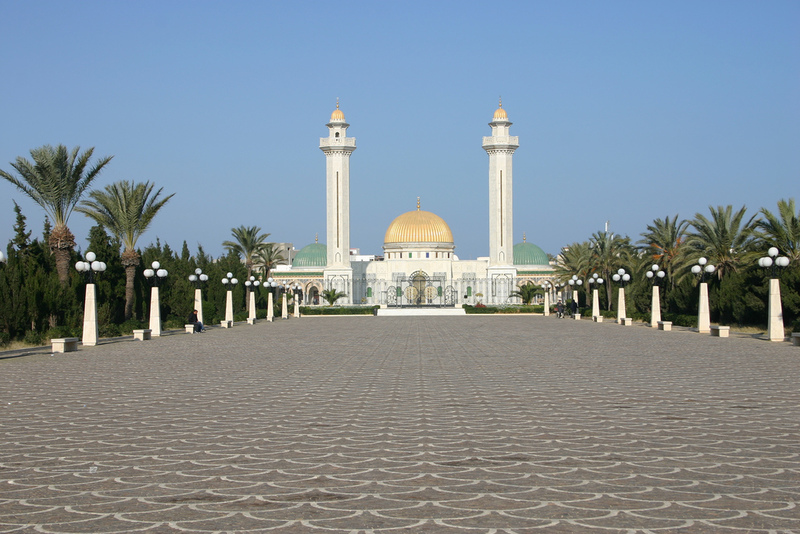 Today, Christians account for 0.2 percent of the more than 10 million people in Tunisia. Islam is the state religion. The government strongly maintains a secular tone, and only a minority actively practice their faith, although this appears to be growing. Politicized Islam, which has been on the rise, is met with little tolerance by the state. 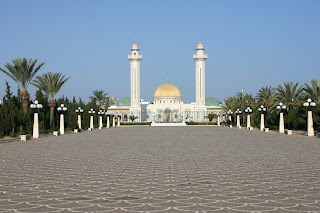 The government is not favourable toward any form of Christian proselytism, but tolerance is shown to foreign religious minorities, and increasingly to native Christians. Pray for opportunities to reach out to the people of Tunisia with the gospel. Pray that the Spirit of God will break down the barriers that have been built up against the gospel in Tunisia. For reports and accompanying prayer requests on other countries hostile to the gospel, visit our Restricted Nations site.